Work on our new boathouse has really started to kick in this week. That means that the time has come for both our lifeboats to leave the current boathouse for the final time. We will be launching at 10am on Sunday 1st Feb 2015 and we'd love to see you there to give us a wave. 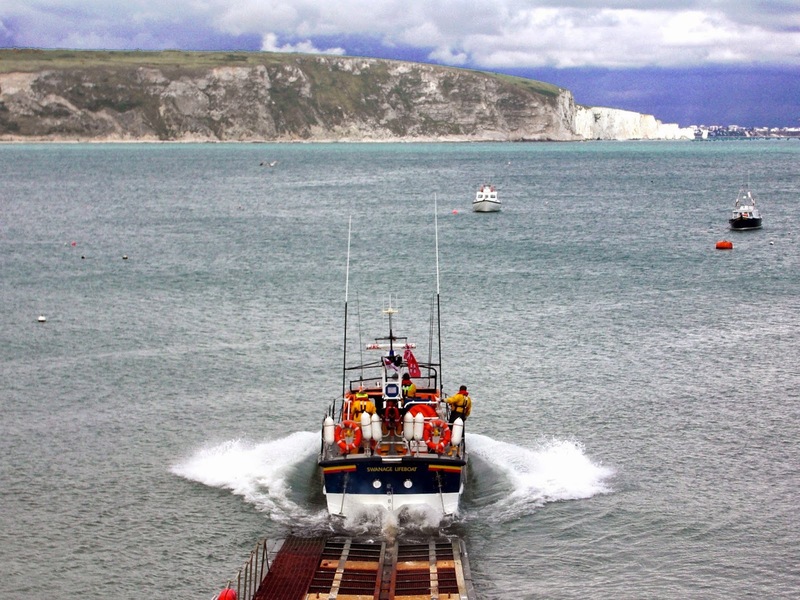 Once we've done the final launch our All Weather Lifeboat (ALB) 'Robert Charles Brown' will be kept on our mooring for the duration of the project. The inshore lifeboat and the boarding boat we'll use to get us to the ALB will be kept in a temporary boathouse in the Council Boatpark. The building is being finished off this week ready for us to move in on Sunday. 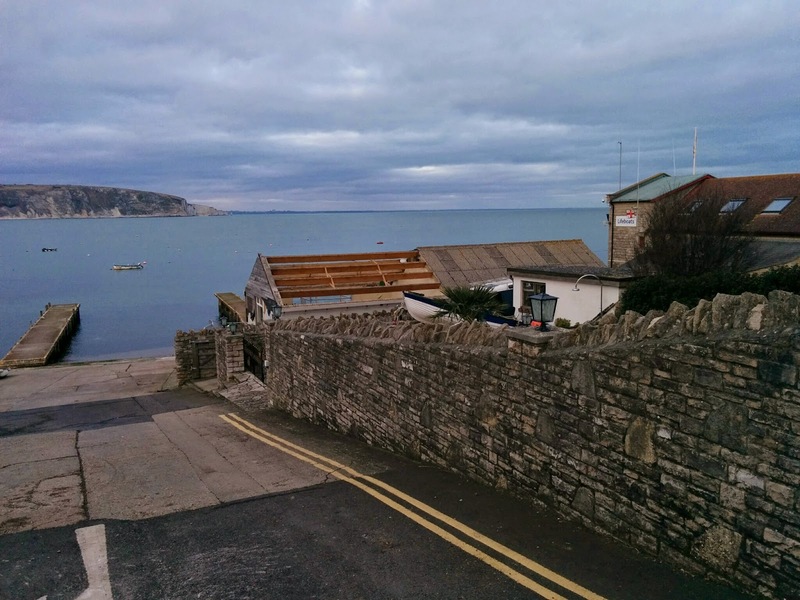 The demolition team have already started on the Angling Club and they'll move on to the lifeboat station and slipway next week. 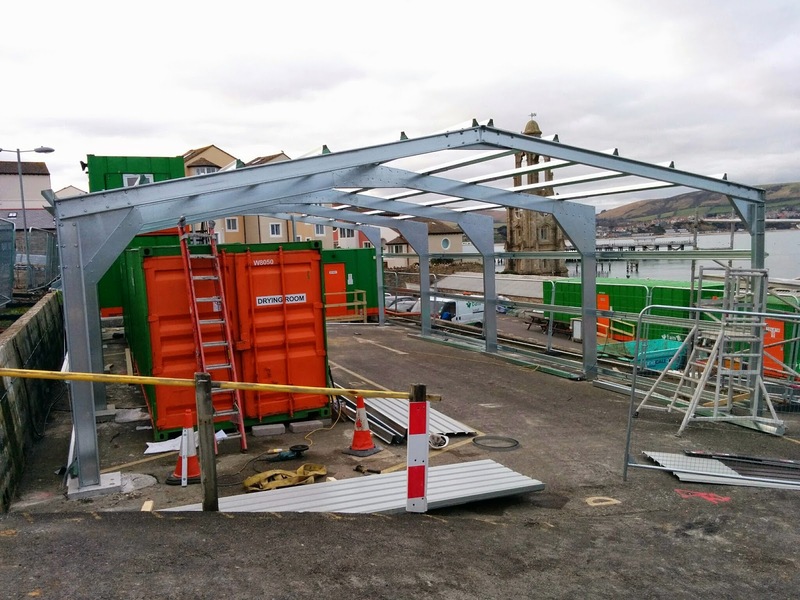 The footpath at the front of the lifeboat station is now closed but you'll still be able to keep an eye on things from the boatpark.